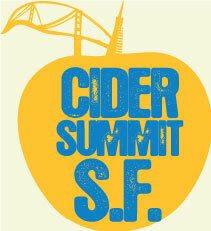 With over 50 producers and 150+ ciders, navigating the Cider Summit and finding the ones you want to try is challenging. To help you out we created this page on our site for the event. You can view by producer, product and region. There are also links to the regular pages on our site if you want to add some tasting notes. iTasteIt.com is not affiliated with this event. We are providing this page as a complimentary service for attendees. We hope you find it useful. The world's first "black cider", a 101 Cider House original. To put it simply, this drinks like a creamy black lemonade. Bursting with lemon punch and farmhouse funk! This incredibly unique cider is made with local Ventura County lemons, grown just a few miles down the 101 from our cider house. Where does the brilliant black color come from? We blend in the world's finest activated charcoal, which is derived from tropical coconuts. Confusing at first, but so rich and refreshing. Put some color in your glass, and make a toast to SoCal. This is a truly regional cider, unique to the southwest. We crafted this cider with indigenous California cactus pears, which can be seen growing wild along the 101 highway! Complimenting the rich fruity character is a spicy herbal blast, the result of an infusion of hundreds of pounds of fresh picked local Thai basil. Brilliant crimson appearance, and beautiful aromatics.This is cider for the cocktail lover, complex and thirst quenching. Are you a hop head? Our IPC is a blend of american cider apples, and fragrant west coast hops. This cider is the product of a wild fermentation, without the addition of sulfites or other preservative methods. After several months of natural malolactic activity, this cider is then dry hopped with 100% Citra hops. We use several pounds of fresh whole leaf hops, this allows us to capture the delicate aroma and flavor of this incredible hop varietal. Tart, fragrant, naturally sparkling, and explosive with citrus notes. This is farmhouse funk in all it's glory. Our original flagship cider, this Scrumpy is 'super dry' and celebrates traditional cider making practices. We work with orchards along the 101 freeway to source incredible cider apples and brilliant quince, this blend is fresh pressed into a unique raw juice that we ferment using only native yeasts. The finished cider is liken to fine Champagne, with a complex barnyard character that oozes with minerality. SoCal Scrumpy is a vintage offering, produced only once per year. As a result, this cider is available in the spring season. Like the rugged outdoors of the Northwest, the OutCider is raw and unfiltered. Sun's Out Saison is made with tart, fresh-pressed Northwest apples fermented on peaches with an authentic French saison yeast. Roll up your sleeves, or better yet, rip `em off to get ready for this unfiltered, dry, slightly spicy and phenolic cider, with lots of big, clean, fresh-peach aromatics. Big & bold, The Bad Apple is an imperial style cider, fermented with local meadowfoam honey and aged on Oregon White Oak. Complex notes of apples and wood make the Bad Apple a NW favorite. Ginger Bite spices up this band of Outlaws! Made with a delicious blend of apples and Peruvian yellow ginger at our family-owned orchard in the Applegate, Ginger Bite is bursting with apple aromas and the spicy zing of ginger. The combo packs a punch sure to reward your rebellious palate, should you be so adventurous. Expertly crafted with apples, tangerines, and hops, Tangerine Twist was made to revive tired taste buds. This hopped cider balances bold citrus flavors with floral aromas and crisp apple overtones. Mid straw-gold colour. Clean, light floral aroma of dessert apples. Dry, round and creamy on the palate with medium fullness. Good acid balance, pleasant soft tannins and elegant, long finish. Rich, dark golden color. Traditional bittersweet cyder-apple aroma with floral notes and dried fruit. Palate rich, quite sweet and full bodied, with a balancing refreshing acidity. A unique and very complex flavour reminiscent of Christmas cake. Very long on the finish, sweetish but not cloying. Clear salmon pink color. Marked floral, apple & blackberry aroma. Assertive palate, medium in body with attractive apple & blackberry flavors. Sweetish, with good acid balance and a moreish finish. Pressed golden orange apricots dominate this uniquely tart cider. The Apricots add a subtle flavor that is like combining a peach and a plum but not quite as sweet. The driest of our ciders leaves a lasting round finish that calls for more. May the Gods be appeased. A deep hue of purple fills the glass as we took zero short-cuts with this fine blend of blackberries and elderberries. The tartness of the blackberries is rounded out by the complex characteristics of the elderberries. Filled with tannins the cider leaves a delightful dry and rich finish. Our flagship apple cider is a celebration of the Northwest. The fruit forward apple aroma and taste come from a tailored blend that perfectly balances the sweetness, tartness, and dryness of the fruit. A clean finish from the use of all fresh regional juices reminds us that this is an authentic hard cider. Enjoy this natural, semi-sweet, and bold cider from Bend, Oregon that simply brings out the best of the Northwest. WILDCIDE packs a punch while maintaining its pure, all-natural flavor. WILDCIDE'S dry, tart qualities make it perfect for pairing with food. Mango and black pepper honey wine. Appearance: straw-gold with quickly dissipating head. Aroma: sweet and floral mango notes, followed by spicy black pepper and a spicy yeast character. Flavor: fruity mango wine backed by citrusy honey brightness. Finishes with lively black pepper. Appearance - Ruby red, bright & clear with a slightly fizzy, off-white head that lingers on the rim. Aroma - Sweet & bold, ripe berries complimented by crisp, tart apples. Experience - Crisp apple and cherry forward. The sides of the tongue garner the tartness of dry apple and unripened berries while a mild sweetness rounds and balances. Medium body with a dry, refreshing finish. Appearance - Deep pink and clear with a light, lacy head that quickly dissipates. Aroma - Crisp, clean apple cider, round, ripe tart cherry. Experience - Tart cherry sweetness up front with full, yet crisp fermented cider. Heavy apple skin compliments the cherry. Sweet, creamy honey rounds the flavor and balances the tartness of the cherry. Light carbonation lifts the flavor while the honey smooths the overall mouthfeel. Finishes crisp and clean. Born in California, Brooks Dry is a west coast interpretation of the drier ciders popular overseas. This isn't a sweet alcopop you'll often find in the US but a well-crafted, perfectly balanced cider. We only use 100% apple juice (no juice concentrates or essences here) fermented in Napa with champagne yeast. It's crisp and light with a mighty good bite. We've taken the local Gravenstein apple, fermented it to 9% ABV, and then aged it in oak chardonnay barrels. Only a limited amount of Black Jack 21 has been made. Our Ace Joker is our driest cider yet and is made from 100% apple juice; it has champagne characteristics, a bit yeasty with a 6.9% ABV. It has won many awards and recently took the 2013 San Diego Cider and Beer Festival by storm! It even grabbed the Gold Ribbon for "Best Cider" in the competition. Ace Joker is popular with beer and wine drinkers and makes a great base for Mimosas, Snakebites, or Black Satins. We add pineapple juices to our fermented apple base to produce a 5% ABV cider that has a great pineapple nose and a semi-sweet initial taste with a tart finish. It is extremely refreshing and very quaffable for cider, beer, or wine drinkers. It is delicious when consumed ice cold. Cider never tasted like this crisp, new creation: our unique blend of hand crafted hard apple cider, delicately floral Muscat wine and lush, tropical mango. A unique blend of freshly fermented Hard Apple Cider and premium California Pinot Grigio. We start with fresh juice from five types of apples and ferment it in three lots, each with different yeast to add flavor complexity. Then comes the creative touch: we add 15% of our Pinot Grigio and then Frost Ferment the blend to concentrate the fresh apple and wine character and enhance the flavors. If Frost Fermentation doesn't sound familiar, it's because we invented this technique to create our Pinot Grigio cider. With pale straw color & perfect clarity. The candied apple aromas are layered with hints of crisp Pinot Grigio. Significant effervescence hits the palate with candied apple flavors and lime, citrus and Pinot Grigio accents, followed by a soft, lingering finish and a little tannic bite. Resembles a crisp Rose wine in color and taste. Fruity aromas of fresh strawberries, vanilla cream and honey lead to sweet citrus, melon and mineral flavors. Medium bodied and very well balanced. Starts slightly sweet but finishes dry, soft and lingering. The aromas of sweet ripe apples but drier as the taste lingers on. Acidity is mild to moderate, light tartness, tannins are a decent level and a strong finish. It has a beautiful woody note in the aftertaste. A crisp, well balanced and an interesting cider. This cider has a grip to it, but also has depth and character. This cider presents lightly sweet, fruity and then develops to be more dry as the taste goes on. Tannins feel fairly high, acidity is moderate and a fairly bitter/sharp to end, with a mild hint of wood in the aftertaste. This cider has a juicy feel to it, but also has depth and character. The Daufresne Poiré offers clear, sparkling and persistent effervescence and aromas. Tastes of fresh pear fruit, hints of melon and citrus, natural sediments in glass, rustic with a clean pure sweetness, balanced by refreshing acidity. While it is our most traditional cider, don't be fooled! The apple notes are soft and smooth, with a very clean finish. Perfect with a melty grilled cheese sandwich or an order of wings. A hint of lemon makes this a crisp, dry cider. Crispin Honey Crisp is an Artisanal Reserve unfiltered and cloudy hard cider made from fresh-pressed Washington and Oregon apples. It's naturally fermented, and then smoothed with pure honey. Appearance: Soft, opaque medium straw. No head retention or lingering carbonation visible. Aroma: Strong honey, silica with semi-ripe apples prevalent. Taste: Honey character transitions from sweet to astringent, with backbone of sound culinary apples, and subtle yeast notes. Mouthfeel: Full bodied and creamy with subtle carbonation. Finish: Floral notes with elements of honey providing a soft, pleasant finish. Elegant and bright, Crispin Pacific Pear is made from fresh-pressed Washington and Oregon pears. Appearance: Medium straw, brilliant. No head retention. Slightly effervescent. Aroma: Fresh ripe pears with floral notes and hints of stone fruit; slight earthiness. Taste: Sublime ripe pear. Slight woodiness through the mid-palate with subtle stone fruit or pear skin tartness throughout. Mouthfeel: Softly effervescent, light bodied. Finish: Ripe pear with subtle pectin tones. Our Perry features a blend of Taylor's Gold pears with seedling pears unique to Vashon Island, planted by homesteaders around 100 years ago. Crafted from a blend of more than 20 traditional English and French cider apple varieties, the majority of the fruit in this cider came from our very own orchard on Vashon Island, WA. These special apples contribute a richness of flavor and character to cider that can't be achieved with ordinary culinary apples. This is the Dragon's Head Cider version of a farmhouse cider. Rather than carefully selecting a yeast strain for the fermentation, we allowed the wild yeast present on the skin of the apples to ferment the cider. It's a bit of a fun gamble, but one we believe is worth taking. Roman Beauty Cider is named for the heirloom apple that provides the predominant juice pressed for this blend. We have been growing the is apple variety at E.Z. Orchards since 1929. Fermented cold and slow to retain a ripe apple aroma, Roman Beauty is a semi-dry cider with mild acidity. Enjoy this cider chilled. Ice Cider brings the essence of pure apple to a sophisticated dessert cider. Vermont's natural winter cold is used to concentrate cider to the optimum balance of sweetness and acidity. Our unique blend of traditional and heirloom apples produces a complex, delicious flavor that complements food yet may be savored on its own. It takes over 8 lbs. of apples to make just one beautiful bottle! Champagne-style cider made from heirloom and bittersweet apple varieties grown in Vermont and at Poverty Lane Orchards in New Hampshire. It is naturally sparkling and clean - we hand-disgorge the yeast from every bottle! Beautifully balanced between fruit, acid, sweetness and tannin. Seven varieties of American heirloom apples blend to create a complex hard cider. It's fruity yet acidic, with hints of elderflower, spice and honey with a long finish and a lot of lingering flavor complexity. Estate grown Autumn Crisp apples fermented and then dry-hopped with Cascade, Centennial, & Columbus hops that we sourced from a neighboring farm. A brillantly balanced cider with just a touch of sweetness and hop aromatics that add to the complexity of an already complex cider. Dryhouse Jonagold is a single varietal hard cider crafted from a particular strain of Jonagold apple. With more sugar and acidity than other Jonagold strains, these apples lead to a fruity cider with lots of apple aroma and a dry, crisp, clean finish. A light, lovely cider, with a purple blush, that blends heirloom and organic dessert apples with the tart mysteries of organic black currant. Immensely drinkable. The Honey Meadow cider is our Spring release, featuring Finnriver's bright base of fermented organic apples, backsweetened with Olympic Peninsula honey and infused with local lemon balm and chamomile. A foundation of bright citrus in this cider is layered with a smooth whiskey depth and spicy rye spirit. A fine, craft cider that showcases American oak, Northwest rye whiskey, and Washington organic apples. Woody astringency balances the acidity, and then finishes with lovely toasted oak and vanilla notes. We start by pressing 100% West Coast apples, and well, that's about it. No added water. No added sugar. No concentrates. No gluten. No bad juju. Features select heirloom apples blended in a light refreshing sparkling hard cider, perfect for a satisfying session drink. Refreshing, complex, and crisp, with an apple-y aroma and medium finish. A varietal sparkling cider featuring three heirloom Gravensteins. Bold Gravenstein flavor, floral bouquet, hints of vanilla, medium body, medium clean fresh finish. Deep and complex from a proprietary blend of heirloom apples. Think maraschino cherry, apricot and coffee. The extremely rare Sierra Beauty apple, a Gowan heritage heirloom, is featured in this apple-wine style cider. Smooth, full and fruity with a complex calvados-like flavor. This still cider (non-fizzy) has a lovely bouquet, full bodied with a long alluring finish. Wood-aged notes are naturally part of this rare apple's flavor. Serve slightly cool, but not cold for maximum flavor. Not overly sweet. A blend of unique, Sonoma County apple varieties. All were fermented separately, then bottle conditioned for a traditional, dry cider. We fermented local, heirloom variety apples, dry-hopped it with Cascade hops, then added honey instead of sugar at bottling. The cider then fermented in bottle, which resulted in a completely dry, sparkling cider. It has lovely, hop aromatics, refreshing citrus and apple body, a festive bubble and dry finish. Showcasing the wonderful aromas of a Macintosh apple this cider is semi dry, having a nice clean finish. Produced using the original process for ancient Celtic ciders. Color: orange ochre with salmon iridescence. Bouquet: balanced with tannic notes specific to the variety. Taste: smooth and bitter, reminiscent of the astringency of beer. The perfect balance of the taste of pear and dry apple cider. Color: golden yellow and brilliant. Bouquet: deep pear and citric notes that add great freshness. Taste: smooth cider with pear. Dry cider with an intense strawberry flavour. Color: rosy and brilliant. Bouquet: a pleasant fusion between sweet strawberries and the unique citric scent of yuzu. Taste: strawberry with smooth cider notes in the aftertaste. This cider presents nice yellow/gold color and a good strength. The first aroma is fairly soft on the nose; it requires a little bit of breathing to open up the odors of dried hay, smoky leather and rustic overtones. On the palate, it shows flavors of bruised apples and pears. This cider offers a good balance between a subtle sweetness, tannins and a bitterness well present. Lovers of traditional cider will appreciate this cider of character, rustic and dry, which makes a quencher. Dry, bold, barrel-blended cider using tart and earthy cider apples. Sparkling dry and funky; a recreation of Old America in a bottle. Cider warmed in the barrel with organic baby ginger and infused with raw blueberry honey. An aromatic cider that's gingerly spicy and tangy to slowly unthaw the senses. Oak barrel aged cider, dry hopped for four weeks with local cascade hops and bottle conditioned with wildflower honey. Dry, tart and funky. A pear cider unlike any other. Exquisite and perfect, this perry remains peerless in it's flavor, balance, color, and artisinal quality. Soft and round, with pear bursting through, this cider has been crafted to remind you what a freshly picked pear tastes like. This is not your typical pear cider. We never use concentrate, add flavoring, or add artificial ingredients, nor do we ever blend with apple cider. This is a pure California 100% Perry, made exclusively from high elevation, mountain pears. You have found the one and only Mission-Trail Plum Cider: the first and only California 100% Plum Cider. This cider is derived from some of California's premier red-flesh plum orchards. We use a proprietary blend of 14 different varietals of red-flesh plums, to create this truly unique experience. Our most popular cider, our Black Cherry is the perfect balance between sweet and tart and delicious. When we made the first batch we didn't know what to think. Now we can't make enough of the stuff. An artisanal cider made from an impressive (and top secret!) blend of ripe peaches and pure honey. The first of our dry ciders - produced from 50% apple juice and 50% honey fermented together until dry. It has only a hint of sweetness remaining with a crisp apple aroma and delightful citrus notes from the dry hopped addition of Cascade and Citra hops. Our first mead first released in July 2001. Black Raspberry Nectar is still our most popular mead! With the mouth feel and texture of beer and the light taste of a lower alcohol mead. The very definition of "refreshing!" Tropical front, tartness in the middle of the pallet and mild, spicy, dry finish. Fermented in a blend of stainless steel and oak barrels. It is a mix of Pippin, Braeburn and Granny Smith apple varieties hailing from Watsonville, CA. Smooth and bright, essence of lemon zest and green apple. A barrel fermented field blend of Anna, Red Astrachan, Gala and Braeburn apple varieties grown in Paso Robles, CA. Traditional style, subtle hints of earth and mild pear notes. Pippins is a "sharp" style cider, thanks to the Yellow Newton Pippin apples we use and cool fermentation from champagne yeast. Off-dry and chapitalized to 9.5%, it is an example of a New England style of cider that was meant to be as strong and robust as North America's pioneers. Pippins features pineapple and confectionary notes, and is incredibly food friendly. Appearance: Effervescent, warm straw in colour, clear, bright. Aromas, flavours: Citrus, apple, pear, lemongrass, pineapple, confectionary. Acid/sweetness: Intense acidity, balanced by slight residual sweetness. Mouthfeel: Crisp, sharp to the tongue. Crafted with home-grown heritage apples, Rumrunner's apples are hand-pressed using our traditional rack and cloth press, slowly fermented with Champagne yeast, then aged in rum-soaked bourbon barrels for a minimum of six months. Aromas of brown sugar and rum show the complexity of this semi-dry sparkling cider. Delicious cold, or mulled and heated with butter. Appearance: Rich mahogany, gently effervescent. Aromas, flavours: Molasses, apple butter, rum. Acid/sweetness: Semi-dry, good acid balance. Mouthfeel: Smooth, long finish. A small batch, limited edition cider available only at The Woods. Featuring an aroma of fresh, green jalapeños paired with a unique flavor profile, combining the taste of poblano, habanero and jalapeño peppers, this cider offers a kick followed by a subtly sweet finish. Welcome to the BoneYard! Come get your dry cider fix without sacrificing apple flavor. Our dry craft cider is balanced and approachable with a hard bite. Only the best apples were selected from the 5-acre family farm in See Canyon and hand pressed. Creates a taste that is truly a reflection of the central coast. Bottle conditioned for 2 years and cellared for an additional 4 years. Intense, with a notable presence of carbonic. Especially fruity with reminds of tropical fruits, banana, pear, apples of mingán variety. Tasty and fresh. Balanced, with body and tasty. Good composition of tannins that leave a nice sensation of dryness in mouth. Dry and refreshing. It is a natural cider, made from bitter, acidic and sweet apple varieties harvested and selected by Trabanco on their own plantations. Flavor profile: intense and balanced, with distinct aromas of both fruits. Crisp start, creamy pear finish. The Washboard is a decidedly adult beverage for grownups who can appreciate the sophisticated flavor of imported Indian sarsaparilla blended with the crisp, tart juice of organic Pacific Northwest apples, and finished with a touch of vanilla. Flavor profile: earthy and rooty at first, with a clean, refreshing, not-too-sweet finish. Nana Mae has nourished us for decades with Sonoma County's finest heirloom apples. Now, celebrate Nana's wild side with this limited edition cider that captures the distinctive flavors of 2013 early harvest. It offers delightful aromas of slightly sweet apple, hints of pie, full body and a lingering finish. Made by blending Cherry concentrate to our base cider blend, the Chider is the sweetest of our ciders. The soda like aspect of the cherry brings out the Fuji and Red Delicious on the nose, with an overall hard candy appeal. The palate is dominated by sweet dark cherry with undertones of apple and watermelon. The finish is salivating and sweet, much as is the entire approach. The Santa Cruz Scrumpy Pomegranate Cider is the most complex of our current line of hard Apple ciders. Created by adding pomegranate concentrate to our base cider, the nose fills out with pomegranate and apple candy, while red licorice undertones lend a seductive edge. The palate is crisp, much like the bite of a pomegranate, with a solid backbone of acid. The cider picks up on the finish, with a cherry note melding into a dominant granny smith finish. The beverage is intentionally light in carbonation to balance the freshness without compromising the body and texture. Our flagship cider is fermented and aged for three months in neutral French Oak barrels before being bottled unfined and unfiltered. The result is a naturally bright and balanced cider, crafted like a wine, because we believe it is. Apple Pie is made once a year during the Northern California apple harvest. We use raw Mendocino Forest wildflower/tree honey combined with fresh pressed organic Sonoma County apple. We spice with organic cinnamon, clove and nutmeg. Apple Pie is a sulfite & gluten free sweet cyser (mead made with apple cider) with 14% ABV. It's a well-balanced cider forward mead. Very drinkable as a desert wine chilled or heated up in a hot toddy. Very easy to drink as a dessert wine, and gets really fun with spicy BBQ, or mixed in cocktails. We suggest mixing with your favorite whiskey or pouring over chocolate ice cream. Sonoma wildflower honey fermented with Blackberries. Aged for one year and finished on a blend of French and American oak. Racy and fresh, this cider is perfect for lovers of both sweet and tart. We blend fresh pressed cranberry juice into an already upbeat blend of fermented apples. Bold and bright on the palate with all the freshness of ripe, red, summer fruits. Pineapple aromas and mineral qualities on the nose, snappy and racy acid levels on the palate, coupled by a deep full-bodied finish. An exotic and fresh cider. Expect a medium straw with hints of cinnamon, vanilla, clove and allspice. Reminiscent of a fresh baked apple pie. The Yakima Valley is known worldwide as a premier apple growing region and a prominent source of hops. We have chosen a select blend of traditional and exotic hops to marry with our cider. This blend of hops produces an aroma of fruit-forward nuttiness followed by a citrusy palate. A blend of late-season Sonoma County heirloom and cider apple varieties, aged for over 3 months in bourbon barrels. Heady butterscotch on the nose, plush mouthfeel, amaretto and vanilla notes, and a long, rich finish. This cider was fermented to dryness, no backsweetening, so your palate will experience all that the barrel aging has to offer, without any cloying effects. The Gravenstein sparkles in this bright, crisp cider. The refreshing acidity is balanced with a touch of sweetness and barnyard funk. The Grav lends its lovely aromatics and tartness, while a blend of sweet (low tannin, low acid) and bittersweet (high tannin, low acid) apple varieties impart flavor and lively tannins. Inclinado is Spanish for "tilted" and this is our California twist on a Basque sierra. 100% local organic Gravensteins and other heirloom apples, pressed during the 2014 harvest and fermented with natural yeasts in neutral French oak barrels. Bottled conditioned using fresh juice from the 2015 harvest to approximate the spritz made by the traditional long pour. Straw gold, dry, deliciously tangy yet restrained. Load of navel orange on the nose and palate. A touch of clove and black pepper on the finish. Deep in color with a bright citrus nose and just enough sweetness to balance the natural acidity. A rare and wonderful fruit. The sweet aroma of berries and a delicious floral mouthful. Another award-winning cider that is growing in popularity as fast as we can make it. It is a light, slightly tart cider with a subtle pomegranate aroma and flavor. Bosc and Anjou pears smooth Anthem Cider's acidity with a soft mouth feel and the earthy roundness only a real ripe pear provides. Orchards: Hood River & Culver, OR. Sweet and fruit forward. Hints of tropical fruit. Orchards: Ashland & Salem, OR. Dry and fruit forward. Rich honey aromas. Containing a blend of late-maturing fruit, the flavour profile of Mendip Hills is full and rounded, yet smooth and satisfying. This accomplished cider is made from punchy late-season fruit that has had longer to mature in the cool orchard grass of some of Somerset's finest orchards, before being fermented by wild yeasts and matured for several months. A very light carbonation is applied at bottling to produce a velvet-smooth cider with oodles of warm, spicy apple-pie notes. Worley's Special Reserve is made from 100% pure cider apple juice using the ancient art of keeving. This creates a naturally sparkling cider of outstanding fruity character with subtle undertones of caramel. It has sweeetness and rounded tannins lifted by a long-lasting carbonation.